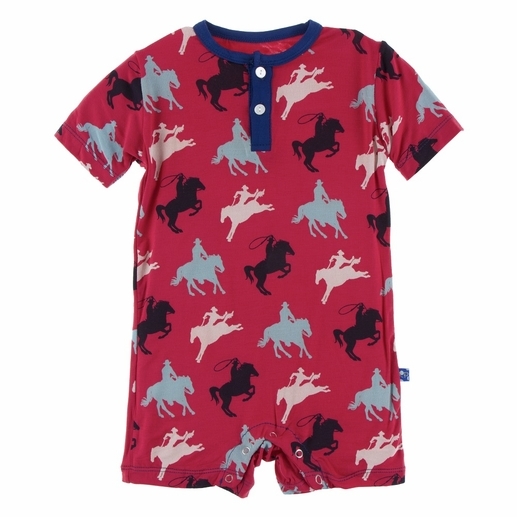 This adorable Henley Romper in Flag Red Cowboy is perfect for any horse lover or cowboy alike! Features 2 buttons on the chest and snaps for easy diaper changes. This is the perfect shorts romper for summer babies!